Please bear with me today reader for I am grasping at ideas like loose sand between my fingers. Currently in battle with one of the strangest problems I have faced as a writer, for the world around me seems incredibly plain. The sky is blue without a cloud in the sky. Without a single blemish which I could ponder over its shape or similarity to things I know. The temperature is, well temperate, best described once again as mild and plain. In the bright morning light, familiar colors are no more vibrant than they were before. A sudden fear creeps into my mind. This is the golden curse of Midas. For that king of long ago, so obsessed with things that glittered with gold, his tragedy was to witness his world turn cold and silent. To starve in a world of singularity, of nothing of plain gold. The world around shimmers with simulated beauty. A fact that I do my best to behold. Yet now through my eyes it has all faded to plainness and mediocrity. I have been cursed with boredrom and senselessness. There is a sudden urge now, and I am desperate to find something different. Anything for my starving mind to grab hold to, ponder and turn over in my mind. Something to inspire me to contemplate and write and give voice to this terrifying silence that is haunting me. 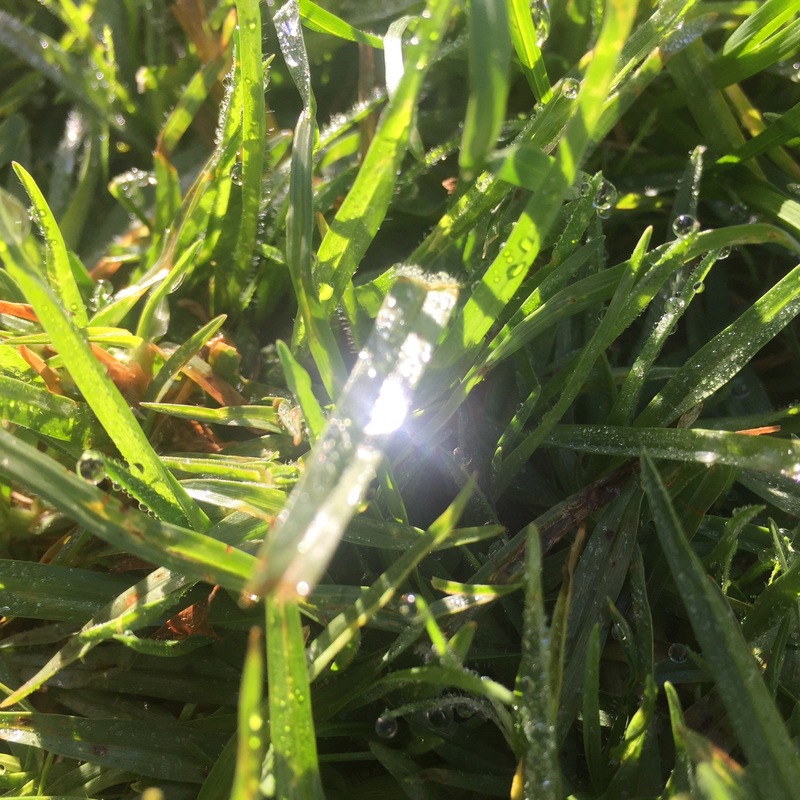 Uneasy, I looked out over a lawn of wet grass from the morning dew. A green field covered in diamonds. I had almost forgot the morale of the golden king’s tale. To not take for granted the simple and beautiful things in life. Enjoy yourself today dear reader, and take care to give credit to the treasures in your life.